HONG KONG, Dec. 13, 2018 /PRNewswire/ — Less than 18 months after opening, New Punjab Club has become the world’s first Pakistani restaurant to be awarded a Michelin star. Part of Hong Kong-based Black Sheep Restaurants, New Punjab Club’s co-founder, and proud Pakistani, Syed Asim Hussain’s most personal project to date. 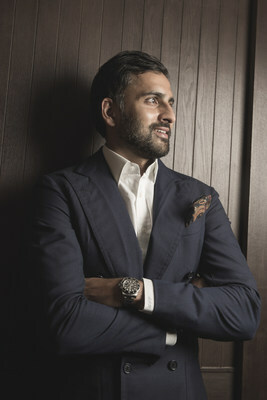 The group was also awarded a star for its neo-Parisian restaurant BELON making Hussain (at just 33 years old) the youngest restaurateur in the world to hold two Michelin stars. New Punjab Club celebrates post-colonial liberation of the subdivided region of Punjab. 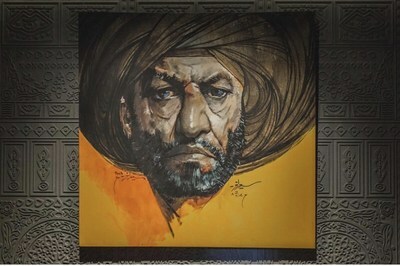 Hussain considers restaurants an artform in themselves but is a lover of all the arts, hand picking all of the works within New Punjab Club which houses the largest restaurant collection of contemporary Pakistani art in the region. The eclectic, rotating collection includes works by recently assassinated A.S. Rind, Mughees Riaz’s iconic Ravi riverscapes, and the award-winning Saeed Akhtar. 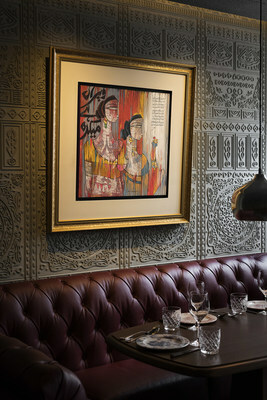 Like everything else about the restaurant the artwork is deeply personal to Hussain and serves to narrate the story the restaurant tells to guests each night. Palash Mitra, the Executive Chef of South Asian Cuisine for Black Sheep Restaurants, heads the kitchen and is as boisterous as the restaurant itself. 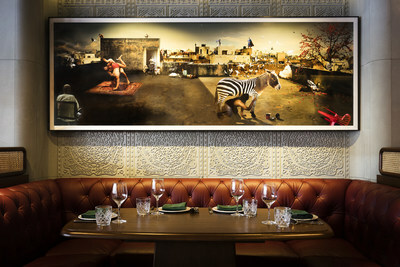 Mitra has created a menu of hearty dishes that stay true to the heart of this unique cuisine centred around two smoky tandoor ovens, painstakingly restored from Hussain’s father’s former Wyndham Street restaurant, The Mughal Room. Black Sheep Restaurants, is just six years into its journey and had no aspirations in its inception in 2012 other than to bring the culinary flavours and nuances of the world to it neighbourhood of SoHo in Hong Kong. By ignoring conventional wisdom and refusing to compromise, co-founders Christopher Mark and Syed Asim Hussain have continued to move the needle forward and have been repeatedly recognised as the region’s best restaurateurs. Beginning humbly with one restaurant, they now have a portfolio of 21 restaurants, with no intentions of slowing down. For more images and press enquiries contact emma@blacksheeprestaurants.com.